In a hugely symbolic act, Leningrad voted to drop Lenin's name, abandoning its communist heritage, and returning to its historic name of St Petersburg. In 1991 as the communist system was collapsing, in a hugely symbolic act, Leningrad voted to drop Lenin's name abandoning its revolutionary heritage and returning to its historic name of St Petersburg. Dina Newman speaks to Ludmilla Narusova, wife of the first St Petersburg mayor, Anatoli Sobchak, who campaigned for the change. 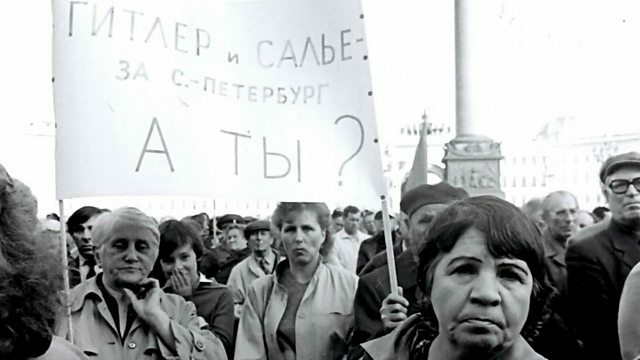 Photo: Communist campaigners demonstrate against the name change in Leningrad in 1991. Credit: Sobchak Foundation.